Spanish Black Metal has always been a funny size, not that many bands making a lot of noise, though a good deal trying to. The ones getting through the loop at the labels and getting released have usually been mediocre copies of Scandinavian styled furious and melodic Black Metal, where the dirty and mean, with a touch of their own, underground never really have risen. 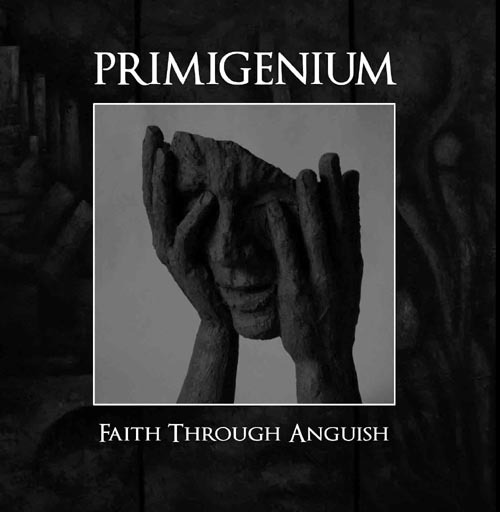 PRIMIGENIUM has some of their own, they’ve been around since 1994 and have had time to built their own identity and on ”Faith Through Anguish” they’re delivering some good and solid Metal with a good atmosphere and feel. The riffing is dark with a good melodic touch that drives the music forward and captures the listener. The rhythm section is quite effective, blasting one moment in a furious chaos, to calm down the next to create a dooming dawn. PRIMIGENIUM is playing really well on the atmospheric part of the release and showcases some great and working songwriting.